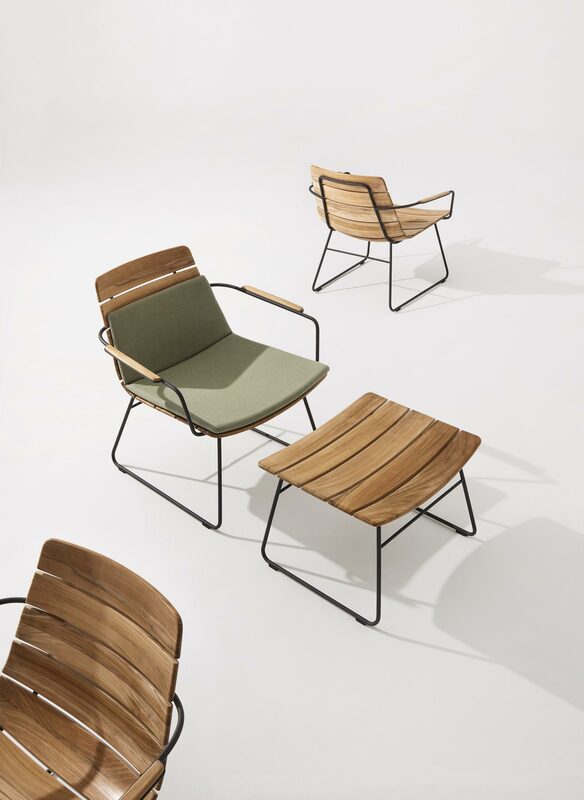 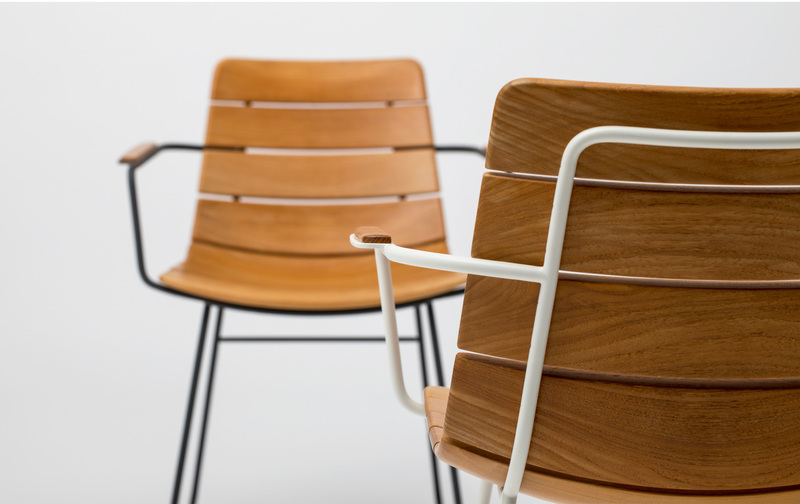 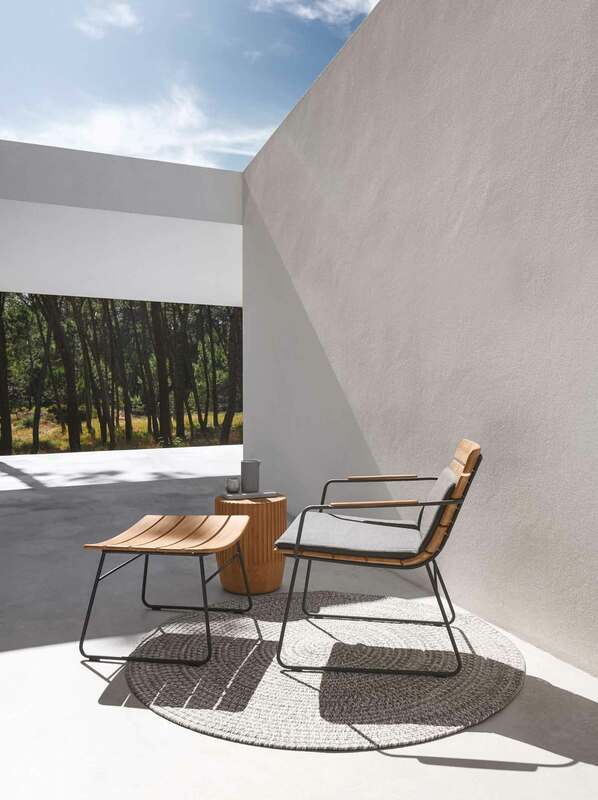 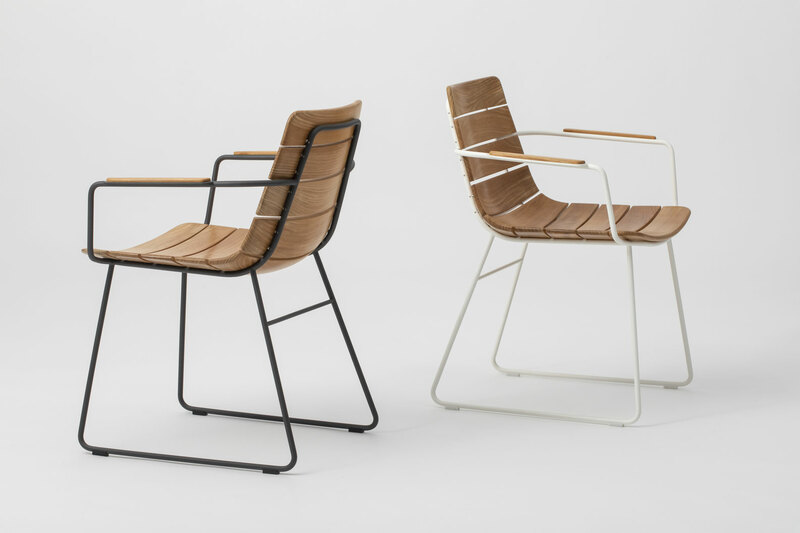 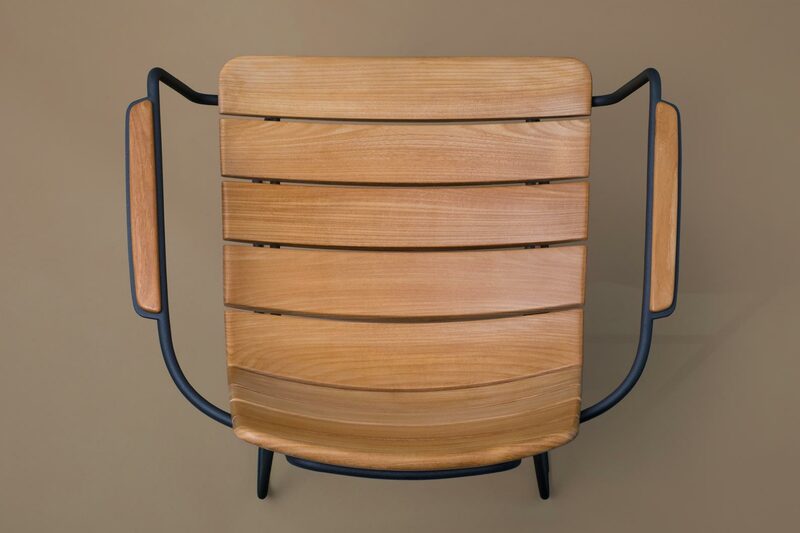 Based on a belief that outdoor furniture can have the same elegance and lightness of touch as interior furniture, the Studio explored the potential of 3 dimensionally working solid teak to achieve a visually interesting profile and an ergonomically correct one. 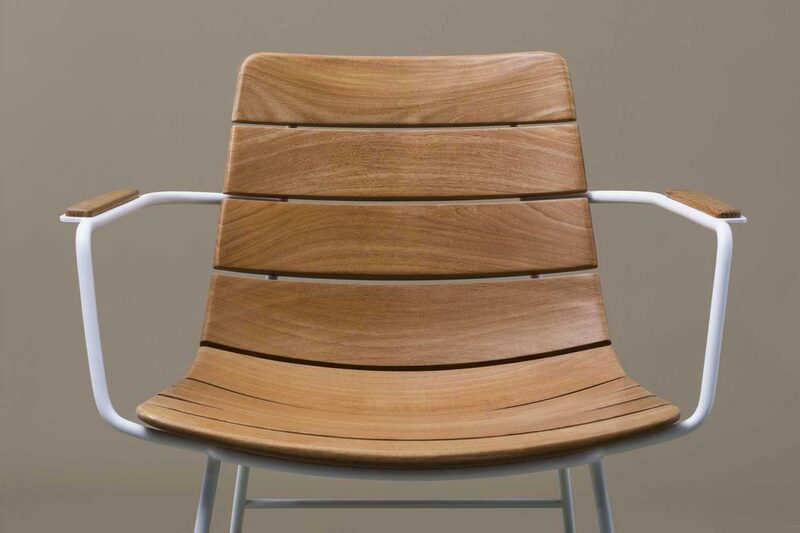 Each teak slat is machined from a single solid section and each slat is different. 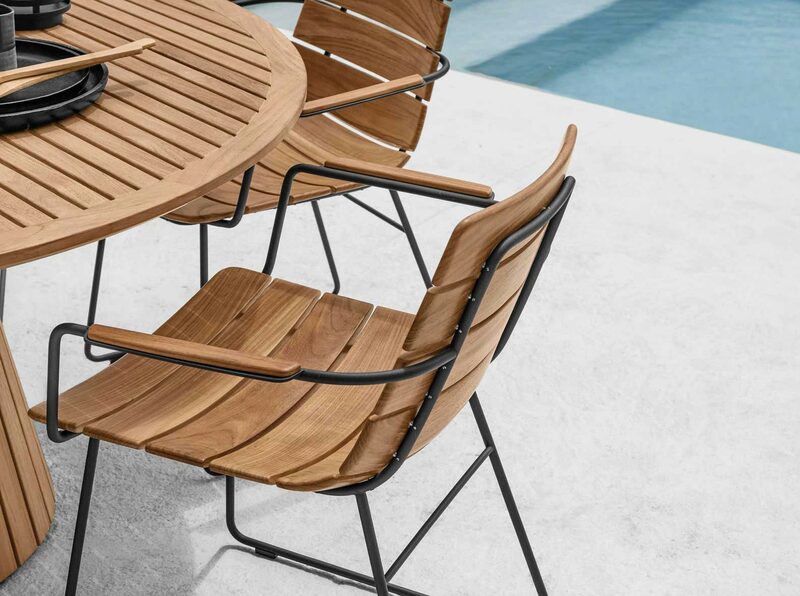 The slats are carried by a minimal powder coated stainless steel sled base that effortlessly incorporates an arm. 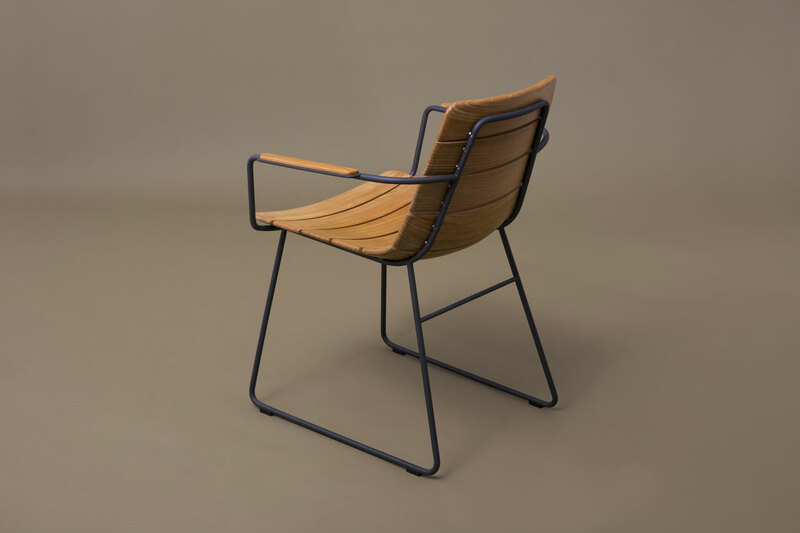 The challenge was how to attach the solid teak slats to the frame, a familiar problem with this typology of chair that invariably results in slats simply being screwed to the steel frame; a visible and unsatisfactory solution. 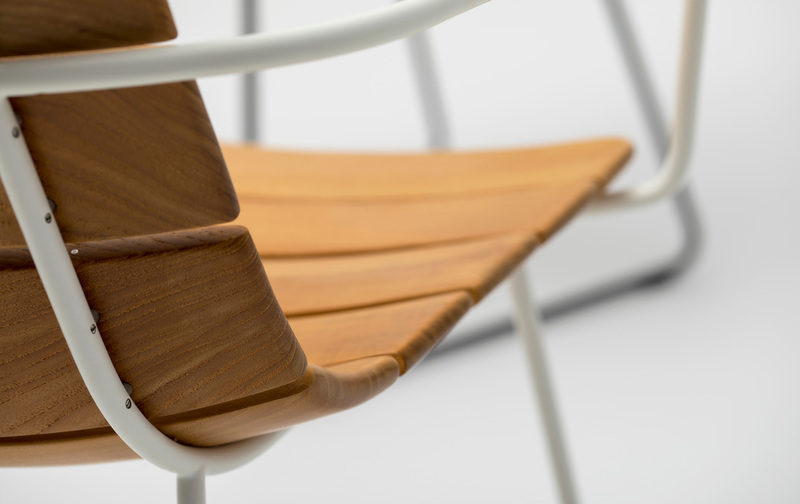 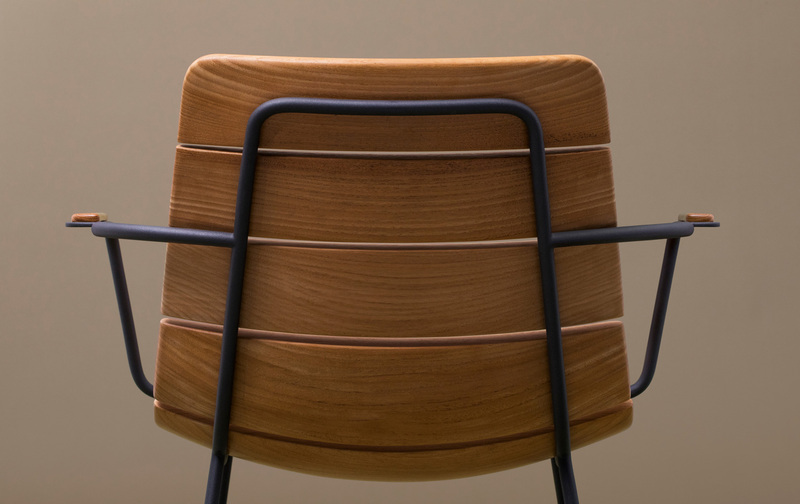 Instead this design utilises a hidden and almost invisible fixing system which was developed especially for this chair and which took months of experimentation and prototyping to resolve. 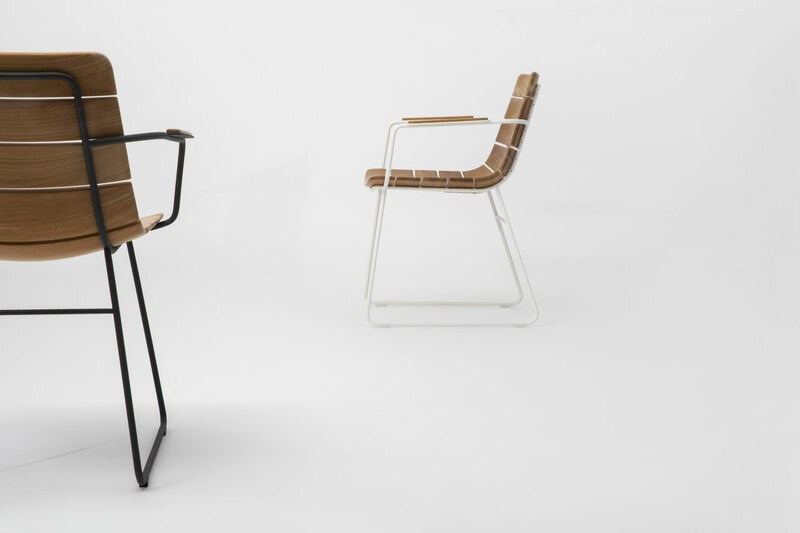 The range comprises dining chair, low chair and ottoman.